Leading Wholesale Trader of textile machine brushes, flutted rollers, industrial plant nozzles, industrial clearer rollers, top rollers and spray nozzles from Coimbatore. We are specailized in offering a wide range of Clearer Rollers, which can be availed in various shapes and sizes. 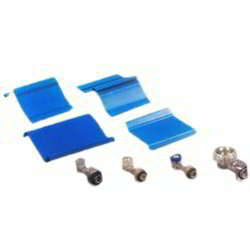 These Clearer Rollers can be custom availed as per specific requirements of client. 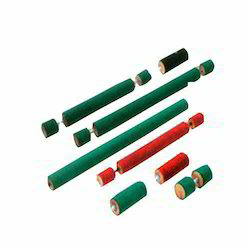 Our range of Cleaner Rollers are made from Wooden PVC, which can be availed in different colours. These are widely used for Spinning D J5, DJ50, G5/1, LR6, Comber, SilverLap, RibbonLap, Simplex etc. We are manufacturer and exporter of precision engineered brake shoe, which are widely used in various textile applications. Our range of brake shoe can be availed in various shapes and sizes and can be custom availed as per specific requirement of client. 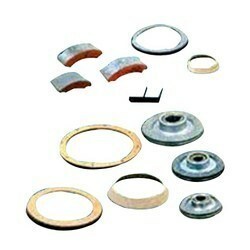 Our range of brake shoe are used for comber, simplex, spinning, draw frame and auto coner. Compression Springs offered is available in different diameter options of 20 to 80mm.